If you're a PC gamer who loves historical combat simulators or simply tanks blowing up other tanks, you’ve probably heard of Wargaming. They got their start in Belarus making games about space and real-world conflicts before trying their hands at a free-to-play tank combat game called—appropriately enough—World of Tanks. Moving into F2P catapulted the company into global success, and their ascent doesn’t show any immediate signs of slowing. Wargaming flew me out to meet the team for their fifteenth anniversary, and now I'm back with some interesting insight into where Wargaming—and likely the games industry at large—is going in the next year and a half. The eSports business is booming, growing through both developer- and community-driven events. Wargaming is no exception to that, launching the WGLNA (Wargaming League North America) with a $100,000 prize pool earlier this year after fans had started forming competitive matches on their own. The Wargaming team claims to be investing in eSports over the long haul, potentially treating every Wargaming release like a pro-grade game. The company has brought in Hero Level Productions, a professional live event and broadcasting company, to help manage their league. During an interview the Director of Global Operations for World of Warplanes, Vlad Belozerov, told me that Wargaming isn’t opposed to giving Warplanes the same eSports treatment as World of Tanks, though they'd wait for the audience to grow first. 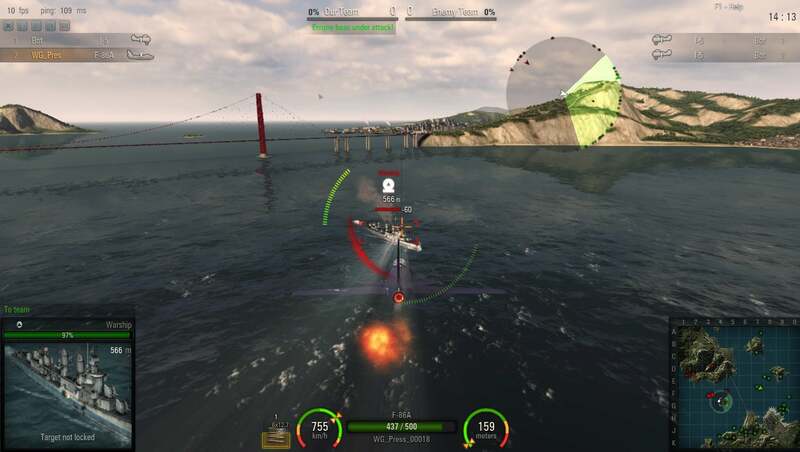 World of Warplanes, Warships, and...War? 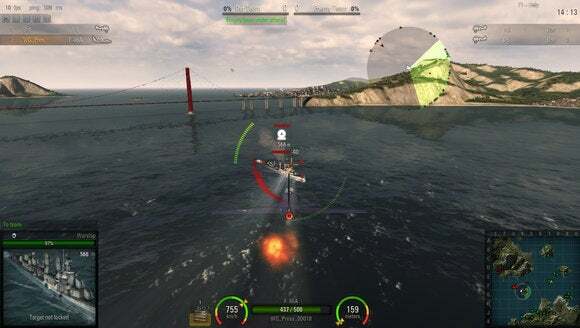 Wargaming has two main PC releases on the immediate horizon, World of Warplanes and World of Warships, both of which will have beta periods that give fans a chance to break them in interesting ways prior to launch. With so many Worlds on their horizon, Wargaming can’t seem to escape the question of when, precisely, we’ll finally get a combined world where players can battle in tanks, planes, and ships across one connected battlefield. Wargaming has always been coy about saying anything on this note, but at Wargaming’s 15th Anniversary press conference—held in the Belarus National Library in early August—Wargaming’s CEO, Victor Kislyi, let slip that the company is planning to unite their disparate battlefields—after all three games are released. That revelation may disappoint fans who don’t want to wait, but the potential for an all-in-one Wargaming battlefield game is intriguing enough to be worth keeping tabs on as we move into the next generation of gaming consoles. Wargaming announced World of Tanks: Xbox 360 Edition at E3 this year, which—as the name implies—is a console version of World of Tanks. It's Wargaming’s first venture outside of PC gaming, but it doesn’t sound like it will be their last. Kislyi was explicit about stating just how much Wargaming values its partnership with Microsoft and how they wish to continue it going forward, a hint that we can likely expect World of Warplanes on consoles in the near future. Note that the console version of World of Tanks is a change of tone for Wargaming, a company notorious for throwing flashy, extravagant events. But bringing their flagship game to the console market wasn’t about being first to Xbox One, where all the marketing money is; it was about bringing the game to an eight-year-old console, which is presumably where the fans are. Wargaming is moving on multiple fronts right now; the free-to-play World of Tanks: Blitz is an attempt to bring the game to mobile devices, and it's certainly not out of place in an App Store where the lion's share of games are already free to download. Within the last year, Wargaming has acquired both Day 1 Studios, renaming them Wargaming West, and Gas Powered Games, which was on the verge of closing down entirely. In early August Wargaming also announced an entirely new studio, its sixteenth, based in Austin, TX. On the surface, the Gas Powered Games acquisition didn’t make much sense; GPG isn’t the kind of studio to make endless tank games. That’s just not their style. It didn’t come together until Wargaming confirmed at their 15th anniversary press conference that they had purchased the rights to Total Annihilation, originally developed by Chris Taylor and Gas Powered Games, at the Atari bankruptcy auction back in June. Kislyi reiterated that it’s up to Taylor to figure out what happens with Total Annihilation. “We’re letting him figure out what to do with that,” he said. He also used this as an opportunity to remind us that Wargaming doesn’t want to just make “World of...” games, but wants to expand their portfolio, and Chris Taylor seems like the man to do that. Chris Taylor has also said that Gas Powered is currently working on a free-to-play title, one that he says will be the “biggest game ever”. With Taylor’s ambitions as big as they already are, that’s definitely something to be on the watch for. Alex is a freelance videogame writer who writers for PCWorld's GameOn. He likes Star Wars a lot, maybe a bit much.